We’ve come to learn that barbering is an artform in and of itself. 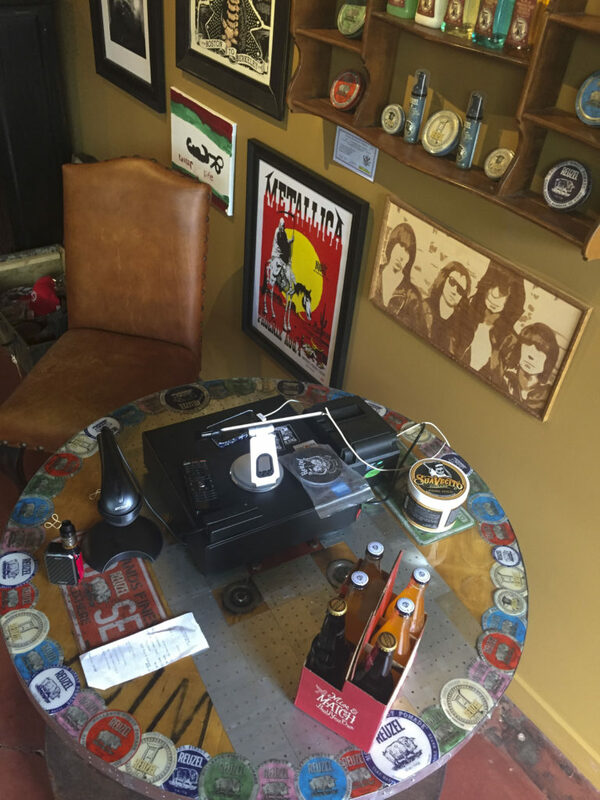 Ray DeCandia, owner of True North Barbershop, is a true craftsman of the trade who’s highlighting other Downtown Phoenix artists in a barbershop that blends tradition and creativity. 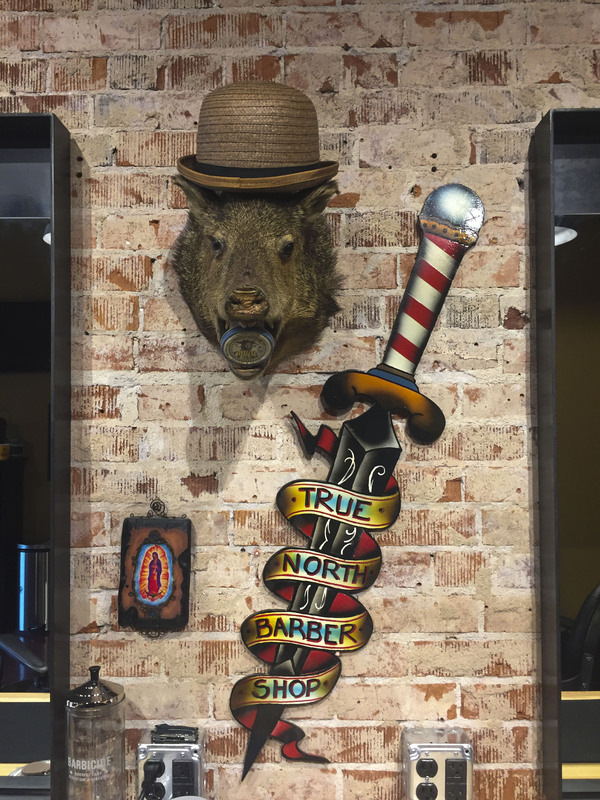 Tell our readers a little bit about you and how you came to own True North Barbershop. I’m a Navy veteran and served from 2002 to 2010. Shortly after I got out of the military, I moved back to Arizona and fell into barbering. I worked at a great Tempe barbershop for 3.5 years, but always knew I wanted to open up my own place. I’m really inspired by other shops and other people’s work, and just felt like it was time to take that inspiration and create something of my own. 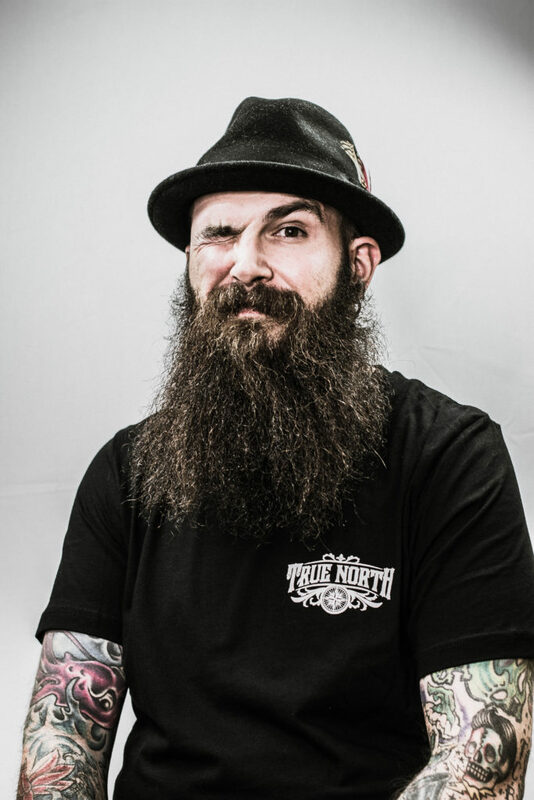 Speaking of inspiration, your vision behind True North Barbershop is an interesting one. What makes it unique from other shops around the Valley? 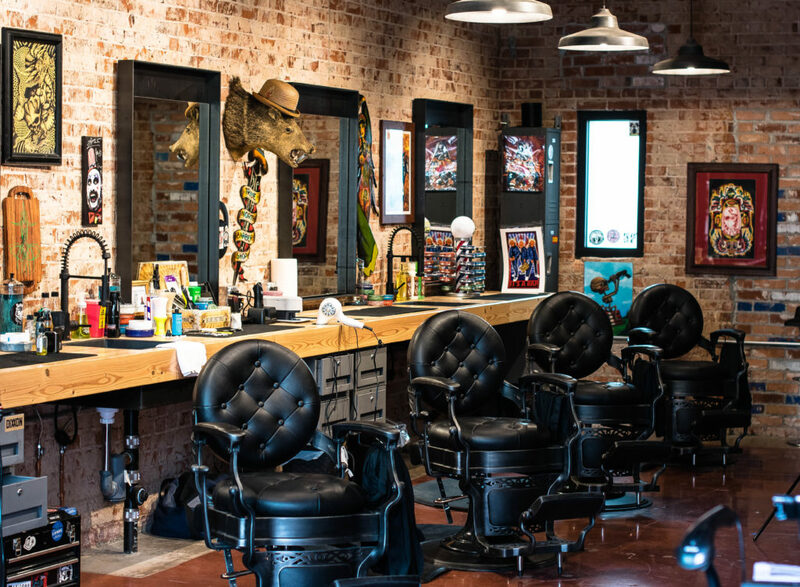 We’re a very classic barbershop with a modern twist in that we focus on traditional haircuts – like pompadours, flat tops and executive contours – but we’re in a contemporary location. These traditional cuts will never go away, no matter how much the trends with men’s hair change. They’ll always be around. What made you choose Roosevelt Row as the place to open up your own shop? I’ve always wanted to open a shop down here. I used to live near the area and always thought it was a really cool place. It’s amazing to see how it’s evolving and it seems like the perfect area for my type of barbershop. 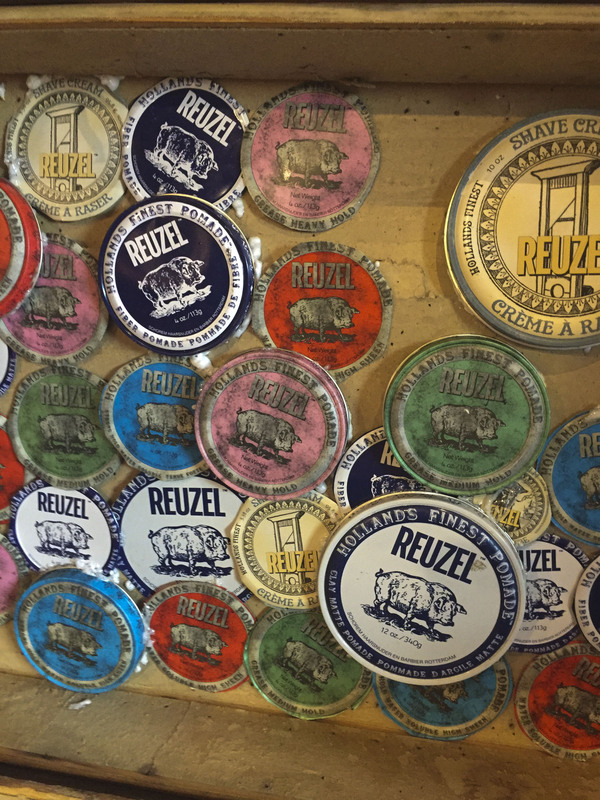 We know you’re a big supporter of local artists. Was the decision to incorporate artistic touches in the shop’s design a deliberate one on your part? Yes. I’ve always loved tattoo art, especially. So I hired tattoo artists and buddies of mine to create pieces for my walls – Evan Barry of Crawling Squid Tattoo and Ethan Apodaca, who goes by @docundead on Instagram. The window work was crafted by a local pinstriper and sign painter. My girlfriend, Andrea Jackson, does cool woodwork that she stains with coffee grinds. She created two pieces in True North, including an Alice Cooper image and the logo on my wall. It’s not necessarily local focused, but we’ll also have an Art-o-Mat, which is kind of like a cigarette dispenser-type thing for art created by a guy named Clark Whittington. 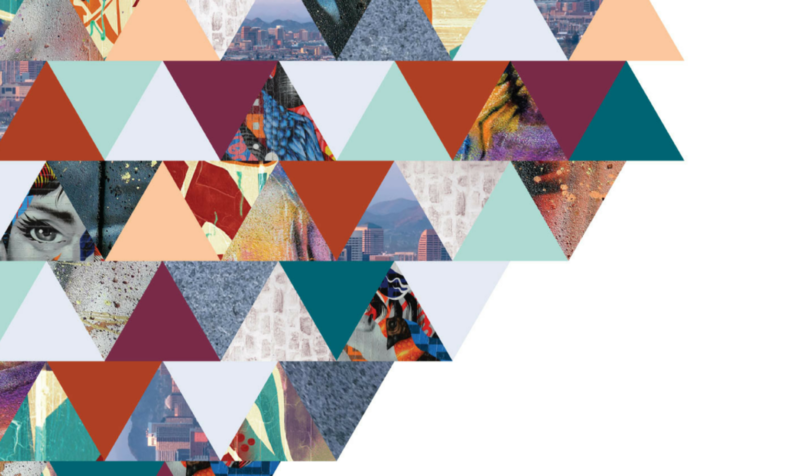 It comes loaded with different pieces of art from people around the country. 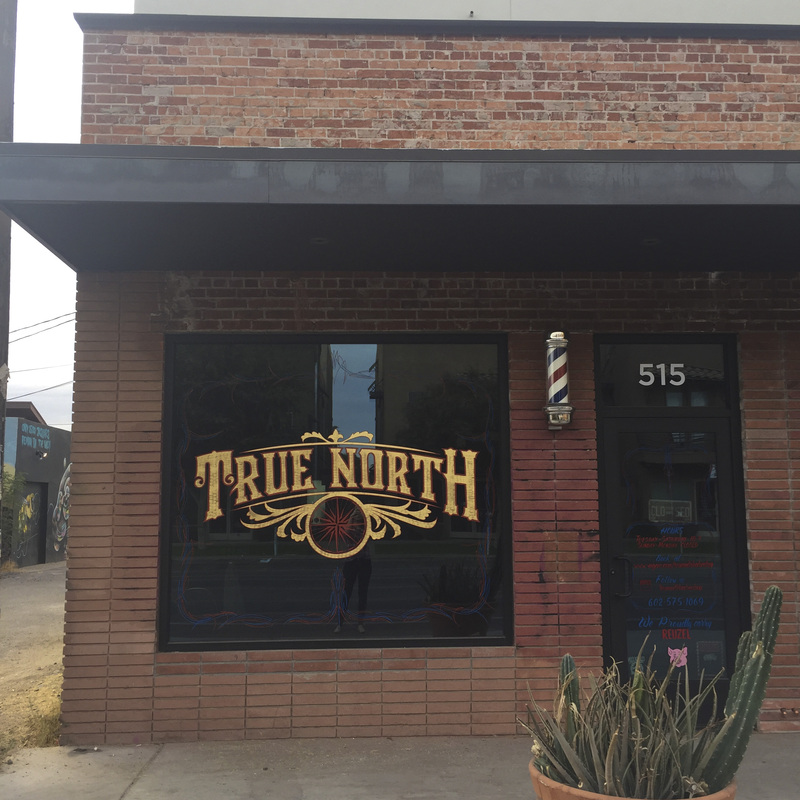 We’re thrilled to have Ray and True North Barbershop here at The Blocks of Roosevelt! 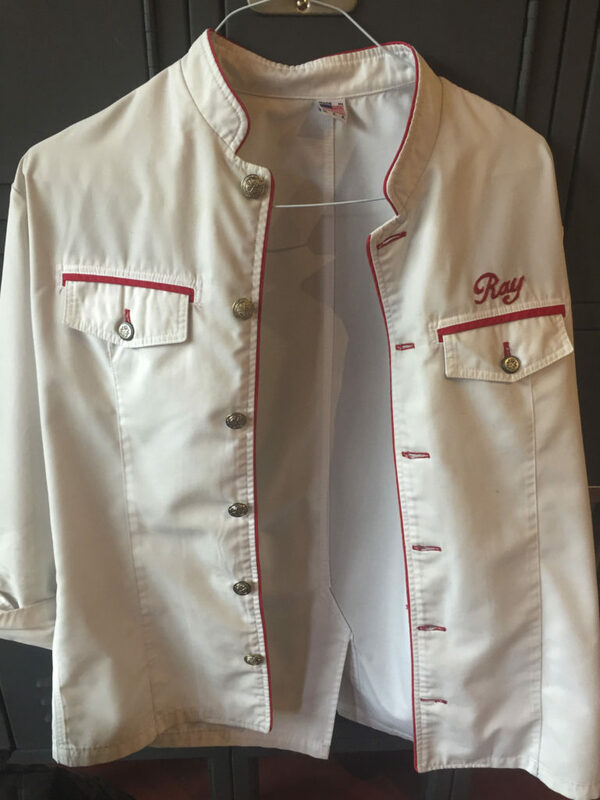 Follow Ray on Instagram @truenorthbarbershop and @sailingbarber.